Seventeen things on the list for yesterday. I think 5 got done. Not bad. Love the kid who is currently complaining that I haven’t finished grading her late work yet. Nah, I’m doing the on-time work first…all 8 assignments of it. Strangely, every time I finish a task, it seems two more jump up to take its place. I need to be serious about ironing today though…so maybe I do that first. I know from experience, though, that if I do that, I rarely get anything else done. Sigh. Quilt must get done. Grading must get done. I just read my blog from last year’s Thanksgiving week, and I’m not going to Costco today. I did it last year on this day. It will be hell. It was hell. Maybe tomorrow. Maybe I’ll do a drive-by. We need toilet paper. But not that bad. Calli wants something here. You can tell by the way she’s looking at me. So I ran errands and graded on and off, and then I went to the gym, so the day just sort of slips by. And then I made dinner, but at some point, I started ironing a coyote together. I think it was pretty late, actually. Like after 9 PM. I got the hill done behind her…well, not all of it. There’s more on the right. I just decided it would be easier to iron some leg parts in there first. Unfortunately inevitable…but not that bad. Not as bad as it was this year. And then I started ironing legs. Up to the knees…actually, I think I got up to the hip on one side, and then realized I hadn’t cut out the other side. I have no idea how that happened. Kitten is surveying it all…this was bedtime. After midnight. That’s why I’m tired. I go to bed late and then people and animals are up early, and it’s hard to sleep. But late at night is when I get a lot done. Today I will iron. I will grade one assignment. 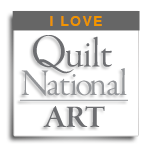 I will go pick up my quilts. I might take the car in for an oil change. I might go to Costco. But I’m not sold on those two at all.